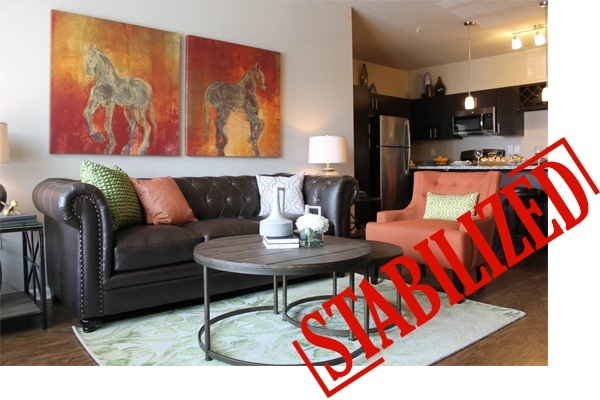 A successful stabilization of our Springs communities starts from the conception of the development process. John Minahan, Director of Multifamily Acquisitions, found the land and led our team through the development process. Sara Johnson, Senior Development Director, successfully completed a challenging rezoning of the community, and Larissa Addison, Corporate Counsel, executed on sale and loan transactions. Konrad Roznik, Construction Project Manager, oversaw our onsite construction efforts and delivered the community without any construction delays! Casey Wells, our Community Manager, began her Continental career as Assistant Community Manager during the lease-up phase of Springs at Hurstbourne. Casey was promoted to Community Manager earlier this year and has since led us to a successful stabilization. A successful stabilization is the result of an entire team effort and a One Team mantra. Congratulations, Team Continental! We offer a townhome-style approach to apartment living with wonderful, unique amenities. Our 24-hour fitness center opens up to our resort-style pool with a poolside grill. Open floor plan designs and granite counter tops, accompanied by stainless-steel appliances and freestanding islands help make our apartment homes a great place to call home. Our 30 Day Pledge guarantees you will always receive the best customer service.